Jens, heres one you could repaint ??? but all the ones I have are TOO nice to waste so I havent done one yet. ... was fortunate enough to be contacted by Brooklyn (Lansdowne) models a couple of years back who wanted to come and measure up the Railton to produce a 1/43 model of one. It's such a delightful model, I've not had the heart to do a repaint, but the original will certainly be staying black! 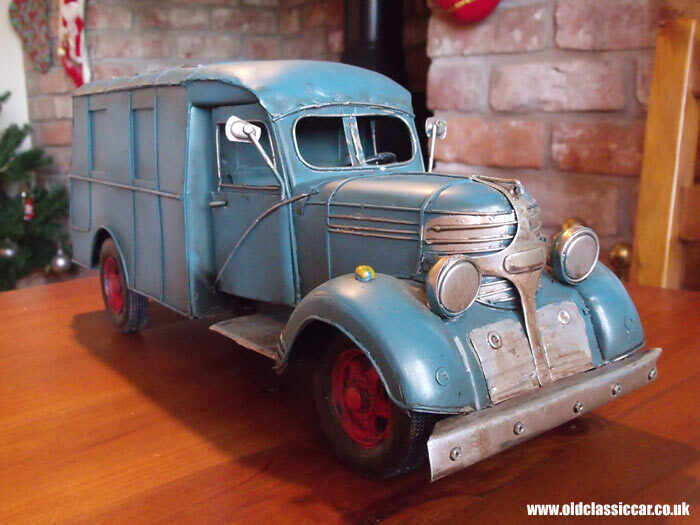 They recently produced a model of the Riley Adelphi. The car they based it on was black with cream wheels, the model was grey with blue wheels but they painted one in the original colours specially for the owner. Yes, that's the coach-built predecessor to my car. There are also some models of the Mk IV but it's really the Science Museum car that I'm after. i collect uk fords in 1:76 & 1:43, but my real obbsesion is cortinas esp mk3-5. i have a round 300 of these rangeing from 00gauge to 1:12.
mk5's are few & fair between mainly european taunus versions. I have a couple of marina models ,one with a coathanger for an ariel but I cant get a model of an estate. I thought I'd bump this thread up again, to see what other toy versions of actual vehicles owned could be added in here? 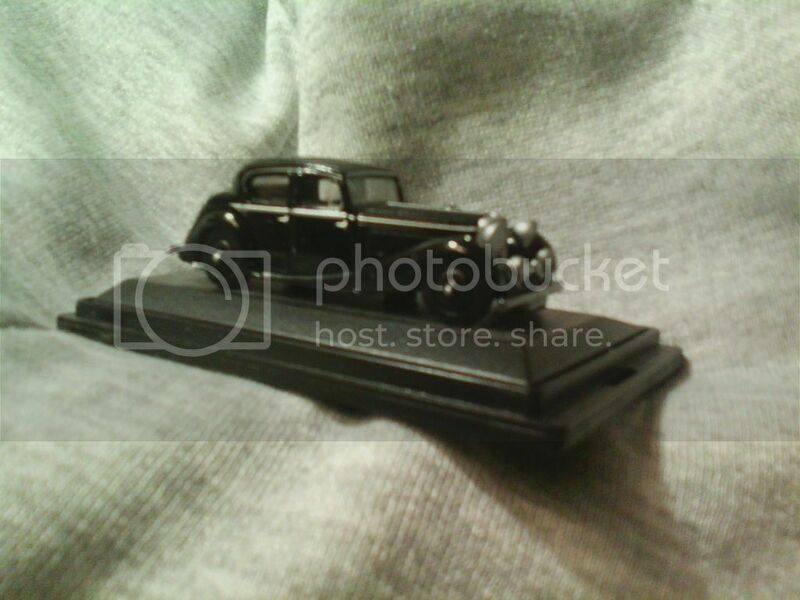 I have a 1/43 scale model of my 1932 Austin Seven RN long wheelbase de-luxe box sedan. What a great story and as you say it almost certainly would not have found you without the internet. I guess this one's really a cheat as I don't own it nor have I ever built or found a model of my car to buy. 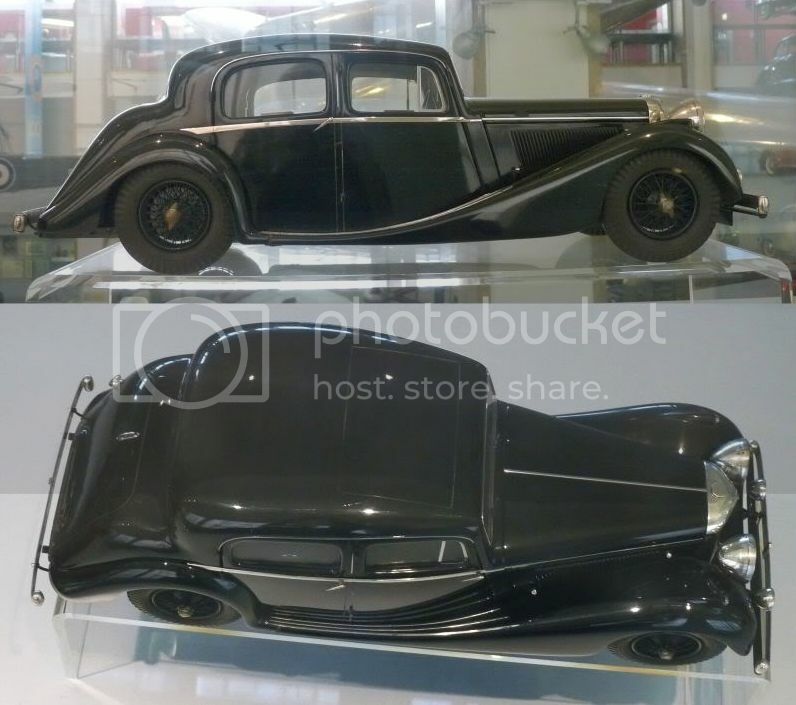 If I could I would buy this one though..
Peter, Oxford Diecast do a beatiful model of the SS. My photo doesn't do it mustice.